What are the Welsh regions for? Committee politics have been around in Welsh rugby as long as the fourth threequarter and east-west tensions. Max Boyce had only to intone 'and the committee man said…' to summon up laughter at a distinctly Welsh strain of self-importance and Wales has long been the home of the rugby politician, who scaled the ranks of club and WRU officialdom much as more ideological contemporaries were rising through the institutions of the Labour movement. Compare and contrast the RFU's long list of ex-player presidents with the holders of Wales' top post - with men like Clive Rowlands, Cliff Jones and Glyn Stephens rather in the minority. Whether it has been a bad thing is entirely another matter. Has English rugby been better run than Wales's over the past century and more? So reaction to the WRU's announcement that the new Professional Regional Game Board (PRGB) had met last week was something of a shrug. The existence of the body had after all been announced to a considerable clashing of cymbals in December 2012, only to become something of a national joke as months went by without it meeting. But at least they're talking. And that has to be much better than the WRU and the regions slanging each other in public, as they did last spring over the prospect - since become reality - of George North leaving Scarlets for Northampton. And it all adds to the broadly upbeat mood around the Welsh game. For that we have to thank the way the Six Nations ended and, more recently the Lions' victory in Australia. Euphoria in Wales over that was tinged with more than a touch of relief. Lions tours more than most rugby events bear out the adage about victory having many fathers while defeat is an orphan. And there was little doubt, even before Warren Gatland vastly upped the ante with his selections for the final Test, which country would have been fighting off attempts to assign sole parentage had the Lions lost. Instead the WRU can welcome back Gatland as a greatly enhanced figure after his Lions sabbatical, point to the trophy it won in its absence and cheerfully proclaim the forthcoming autumn Tests as a 'homecoming' for both the coach and the Welsh contingent among the Lions. This is probably all to the good for the new body. It can begin its operations amid a broadly optimistic mood as opposed to the prophecies of doom which abounded following that miserable autumn campaign. Such an atmosphere is rarely conducive to thinking much beyond the next game. So what do we need from Mr Justice Wyn Williams' band ? Any wish list would probably be headed by the ability to weave a cloak of immunity for Sam Warburton, once again on the injured list. Even somebody as famously positive and selfless as Sam may find it difficult to share in the prevailing mood. 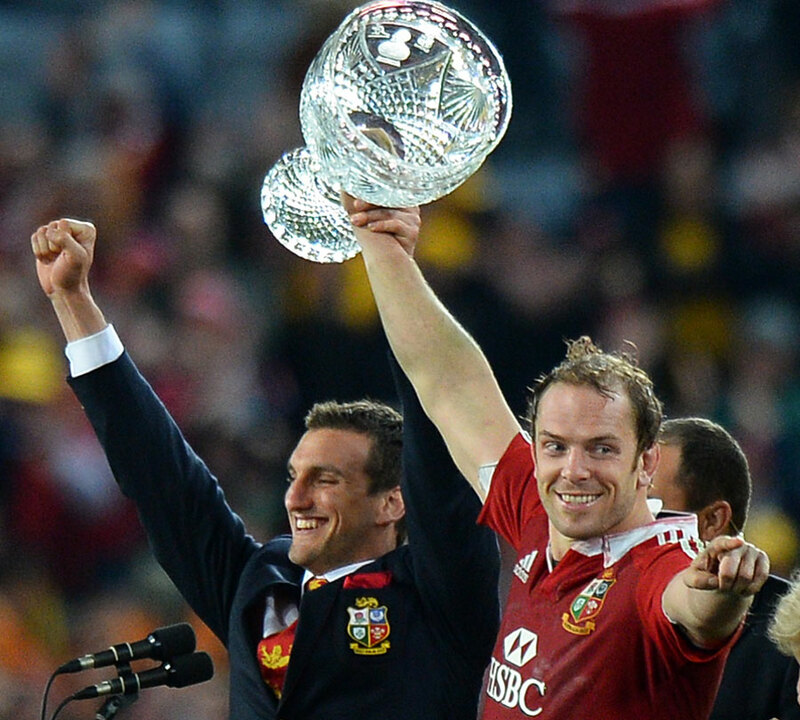 He may at 24 be comfortably the youngest ever winning Lions captain - only Martin Johnson (27 in 1997) of his four predecessors was below 30 when he won - but the injuries seem to be piling up almost as fast as the honours. Instead of preparing for the new season, the Blues potentially winnable Heineken group and the autumn internationals, he's back in rehab. And great team man as he is, he must be acutely aware that Wales possesses compelling alternatives both as open side (Justin Tipuric) and captain (one of Alun-Wyn or Ryan Jones). "Most of all it needs to be asking what exactly the regional franchises are for. A decade after their creation we're no nearer an answer than when they were set up. Are they there purely to service the Welsh national team?" Sadly the cloak is no more likely to be forthcoming than a miracle cure for the strength of the euro against the pound. French clubs would be formidable competitors for talent at any time, but the shift in exchange rates in recent years has given them an extra edge. Economists will point out that this should be good for British exports, but this of course is exactly Welsh rugby's problem. Nor is it within the PRGB's power to put the clock back and persuade the WRU either not to build that over-praised mudheap of a money-pit known as the Millennium Stadium at all - no other host union has felt the need to build a new stadium for a World Cup - or failing that to prevent the contingent loans from becoming quite such a drain on the game. But it can ask whether, even after the damage inflicted over the past 14 years, there might still be benefits in rescheduling the payments. And there are things that it certainly can do. Its composition may make this tricky, but it should certainly be looking beyond the short-term interests of the four existing franchises to ask whether anything worthwhile can be done for the betrayed thousands of fans who live in Bridgend and the Valleys. It certainly needs to take the threat to the future of the Heineken Cup, without which the franchises would lose a fair deal of their raison d'etre, very seriously. And it should also be asking why Welsh performances in the Heineken have deteriorated so badly after a brief period of improvement. Most of all it needs to be asking what exactly the regional franchises are for. A decade after their creation we're no nearer an answer than when they were set up. Are they there purely to service the Welsh national team? If that is the case, they're not doing at all badly. 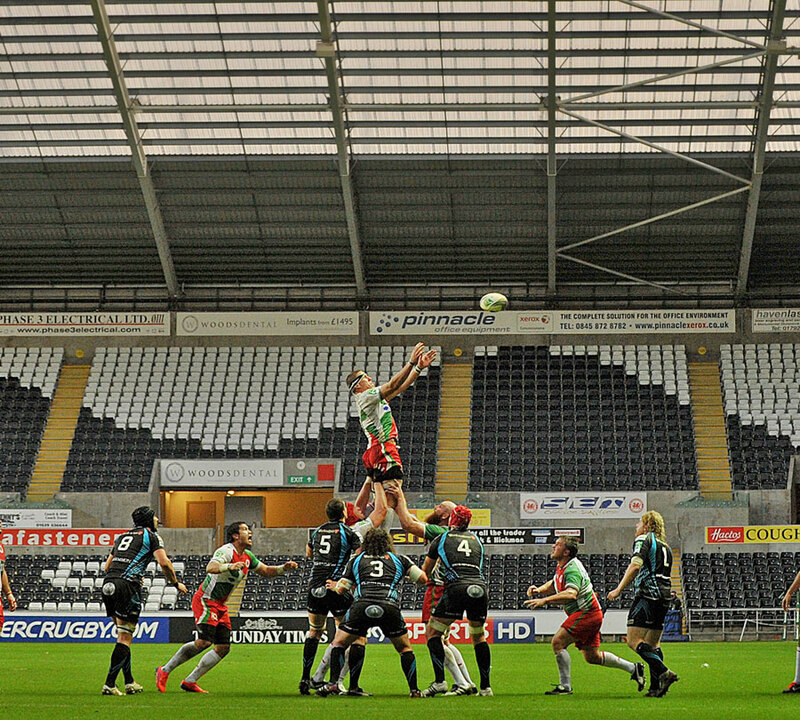 But that also means that the focus of Welsh rugby - once a formidable social phenomenon - is essentially reduced to around a dozen games a year, of which only five are played in a competitive framework. That's a pretty narrow frame of reference, and scarcely sufficient to satisfy the real fan. Don't we also want them to be doing well in the Heineken - where the franchises have performed worse than the clubs, whose failure in the competition as a major factor in their demise - and being a decent attraction in their own right? When I started writing about rugby around 30 years ago one of the great contrasts between the Welsh and the English games was in the relative strength and popularity of the club game. In England, Twickenham crowds for internationals vastly outnumbered those who went to watch senior club rugby every week. In Wales, total weekly club audiences were more often than not sufficient to fill the National Stadium, evidence of vigorous grass roots and a rugby culture which extended deeper than commitment to the national team. Three decades on, that difference has reversed. This too may be the product of forces against which the WRU, the franchises and the PRGB are powerless. Nobody says running rugby in Wales has been easy over those 30 years. But if the PRGB is to make any real difference to the longer-term health of the game in Wales, asking why this has happened and if anything can be done about it is precisely the sort of thing it needs to be doing.